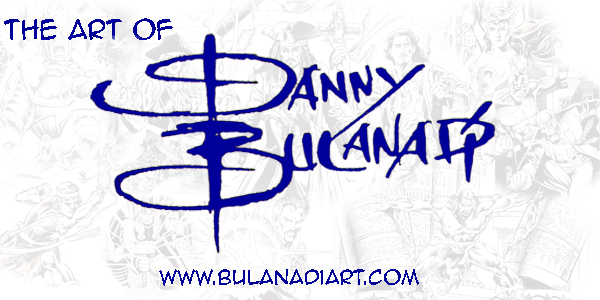 Welcome to the Official Web Site of artist Danny Bulanadi! Most people know Danny as the longtime inker for Marvel and DC Comics. His credentials include Captain America, The Fantastic Four, Daredevil, West Coast Avengers, The Blue Beetle, and the Further Adventures of Indiana Jones. 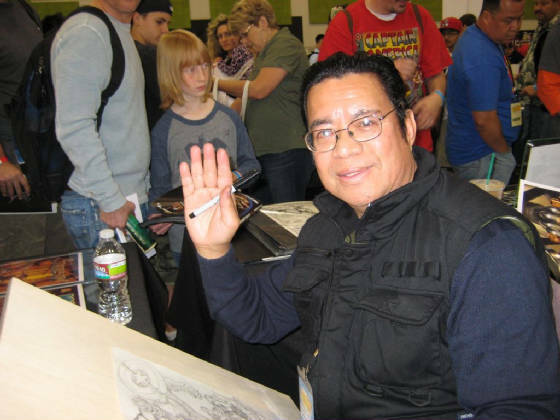 In addition to American comics, Danny has also worked on Pilipino Komiks and helped launch the Atlantis Universe for a Canadian company. He is currently working on comic books based on the stories of the Bible. This began with a 340-page comic book adaptation of the Bible called . Since then, Kingstone Comics has worked with Danny to fill in the books omitted from Good and Evil such as Revelation, Samson, Jonah, King David, and Joshua. THE ART OF DANNY BULANADI WILLSLOWLY BE UPDATED OVER THE NEXT FEW WEEKS. Danny's next appearance will be Stockton Con on August 8 & 10, 2014. If you are in the area, come by and say "Hello." Free prints for children under 10-years old. All characters in the images on this site are © copyrighted and owned by their respected creators and companies. www.bulanadiart.com does not intend to infringe on any copyrights held by these parties.